Chinese smartphone manufacturer had a great last year in India with the success of value for money devices under the Redmi series. The company’s latest smartphone in the Redmi series in India is the Redmi Note 3, which was launched in the country in March this year. The phone brings a handful of upgrades over its predecessor, the Xiaomi Redmi Note, which has been one of the best selling devices for the brand. The company recently unveiled another Redmi series device dubbed the Xiaomi Redmi 3 Pro, as the successor to the Redmi 3. The Redmi 3 Pro is expected to be launched in the Indian market in the coming weeks. 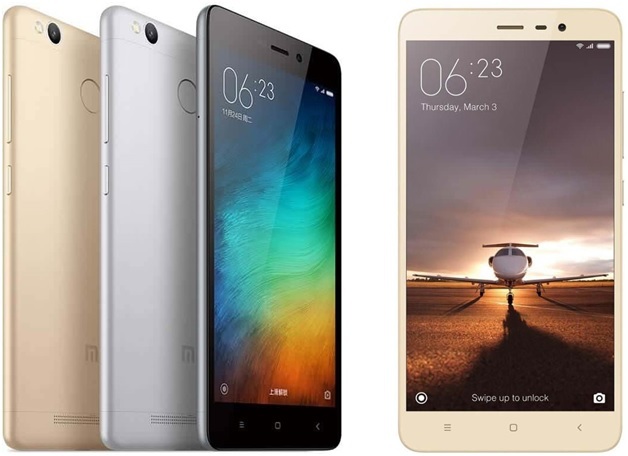 If you are confused between purchasing the already available Xiaomi Redmi Note 3 and the upcoming Xiaomi Redmi 3 Pro, then let’s compare their specifications so you can find out which one suits your smartphone needs. Talking about the design first, the Xiaomi Redmi 3 Pro sports an appealing and durable metal unibody design, which is available in a number of hues, including Dark Grey, Silver and Gold. The phone measures 8.5mm around the waist, and tips the scale at 144 grams. The Xiaomi Redmi Note 3 also sports a durable metal unibody design, which measures 8.65mm around the waist, and weighs 164 grams. Both the smartphones offer fingerprint sensors located at the back panels for enhanced system security. So in terms of design, there’s hardly any difference between the Redmi 3 Pro and Redmi Note 3. The Xiaomi Redmi 3 Pro features a 5-inch IPS LCD display bearing a resolution of 1,280 x 720 pixels. The phone offers a pixel density of 294 pixels per inch for immersive media experience. The device offers a screen to body ratio of 70.92 percent. The Redmi 3 Pro impresses those looking for a compact, yet colourful display. The Xiaomi Redmi Note 3 on the other hand is for those looking for a phablet-grade offering as the phone sports a 5.5-inch full HD display bearing a pixel density of 401 pixels per inch. Given its size, the screen to body ratio of the device is 72.98 percent. As for the software, the Xiaomi Redmi 3 Pro and Redmi Note 3, both run Android 5.1 Lollipop-based MIUI 7.1 custom user interface on top. The Xiaomi Redmi 3 Pro sports an octa-core Qualcomm Snapdragon 616 processor, aided by an Adreno 405 GPU and 3GB of RAM. The Redmi Note 3 on the other hand is fuelled by a less powerful 1.8GHz hexa-core Qualcomm Snapdragon 650 processor. The phone comes in two configurations – one with 2GB of RAM and 16GB of ROM, and another with 3GB of RAM and 32GB of inbuilt storage, both accept microSD cards up to 32GB in size. The Redmi 3 Pro on the other hand comes in a single variant with 32GB of internal storage, which is further expandable up to 128GB via a microSD card. For imaging, the Xiaomi Redmi 3 Pro offers a 13-megapixel primary snapper with an LED flash, phase detection autofocus, f/2.0 aperture and full HD video recording. For selfies, the device gets a 5-megapixel secondary shooter with f/2.2 aperture and full HD video recording. The Xiaomi Redmi Note 3 on the other hand sports a better 16-meg primary shooter with an LED flash, phase detection autofocus, full HD video recording and HDR etc. For selfies, it offers the same 5-meg secondary snapper just like the Redmi 3 Pro. So in the camera department, the Redmi Note 3 is clearly a winner. In terms of connectivity, the Xiaomi Redmi 3 Pro and Redmi Note 3, both offer similar specifications including 4G LTE support, dual-SIM slots, Wi-Fi, Bluetooth, microUSB, and A-GPS. The Redmi Note 3 gets an additional USB OTG connectivity feature. Talking about the battery, the Redmi 3 Pro sports a 4,100mAh battery. The Redmi Note 3 gets a bigger 4,500mAh battery, which also supports fast charging to let you top it up quickly. So the Redmi Note 3 is a better offering than the Redmi 3 Pro in this section. The Xiaomi Redmi 3 Pro and Redmi Note 3 are the latest feature-loaded value for money devices from the Chinese brand. The Redmi 3 Pro is for those looking for high-end features in a compact design. 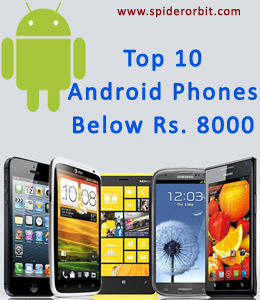 It offers a decent display, excellent configuration, decent camera specs and a large battery. The Redmi Note 3 on the other hand is for those who love large screen devices. This one offers a much bigger battery, an excellent display, impressive camera specs, and is available in two configurations. As for the pricing, the Xiaomi Redmi Note 3 is available in India for Rs 9,999 for the 16GB edition and Rs 11,999 for the 32GB edition. The Xiaomi Redmi 3 Pro price in India is expected to be around Rs 9,000. So which of these VFM devices are you going for? Share in the comments below.